Children are taught key skills such running, jumping, throwing and catching in isolation and in combination through skills based lessons and in team games. There is a key focus in lessons on developing flexibility, strength, technique, control and balance. Our PE lessons are taught by specialist staff from the London Football Academy, with additional support from our teaching and support staff. Through a range of competitive games children are able to apply the basic principles of attacking and defending. During dance lessons pupils are able to explore a range of movement patterns and learn how to use these to express a mood or tell a story. Children learn how dance reflects the customs of various cultures, for example, through African dance and Turkish dance. In all PE lessons children reflect on, compare and evaluate performances against previous ones and demonstrate improvement to achieve their personal best. Children throughout the school are encouraged to take part in inter- and intra-school competitions such as Tag rugby, swimming galas and football. We are extremely fortunate to have our own swimming pool on-site. Currently, all the children in year 5 go swimming once a week where they are taught: to use a range of strokes effectively; swim competently, confidently and proficiently over a distance of at least 25 metres; perform self-rescue in different water-based situations. We recognise that some children have had very little experience with swimming and provide longer sessions for those children who need the additional support. 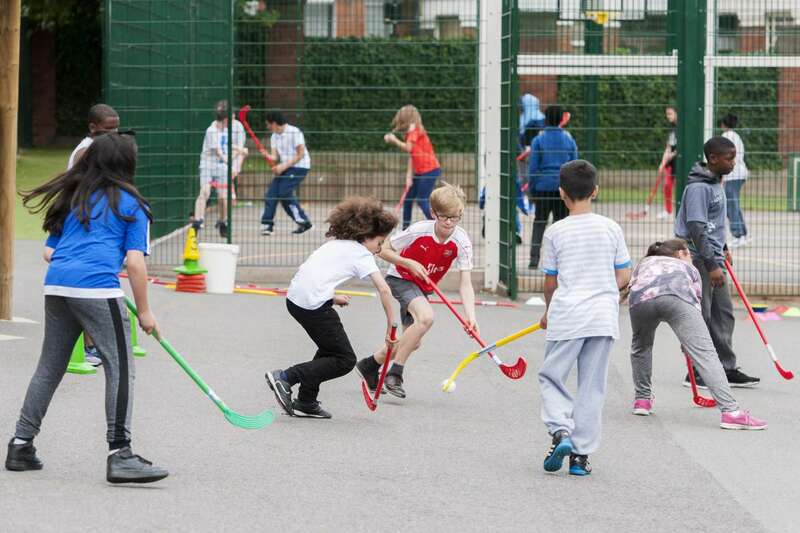 Children are encouraged to take part in a variety of sports during lunchtime play where there is a rota for each class to participate in basketball, cricket, football, hockey, netball, and rounders. These activities are led by specialist coaches. A variety of extra curricular after school sport clubs are offered throughout the year to children Reception – year 6.